Souffle cups are used by most hospitals and care centers as a convenient way to dispense medicine in liquid or pill format. They are also convenient for homecare use. 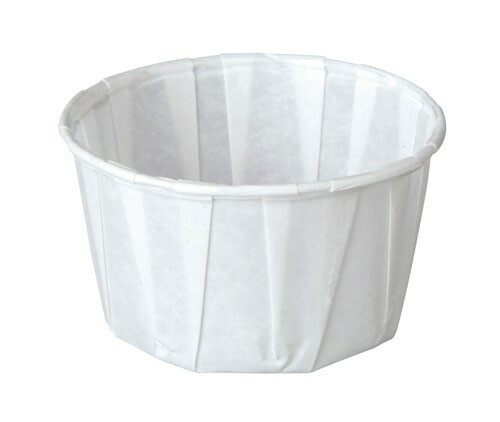 The scouffle cup is a paper cup manufactured by Papercraft that is easily disposed of after use. 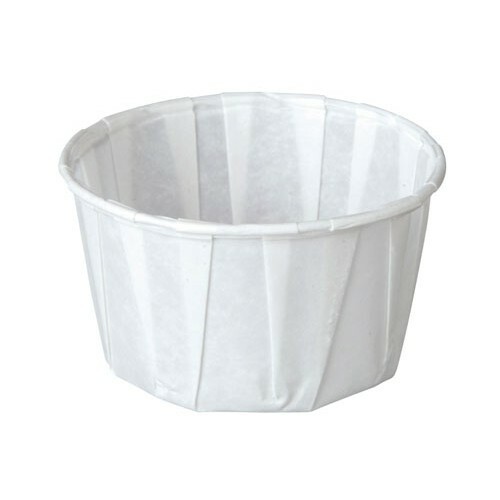 As opposed to a plastic medicine cup, the souffle cup is biodegradable and classified as green or environmental friendly. These paper scuffle cups hold up to .75 oz. These medicine cups can be ordered in a box of 250 or a case of 5000. Save over 1.6¢ on each souffle cup by ordering a case.